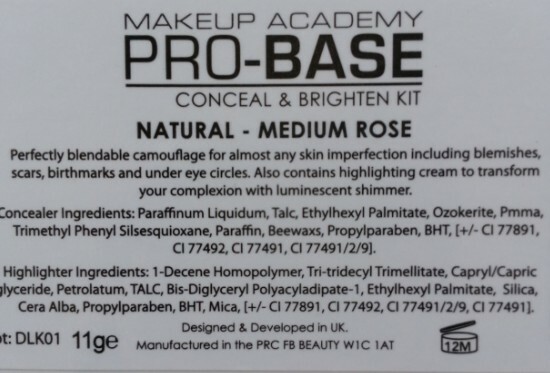 Hi everyone, today I will be talking about another MUA makeup product named MUA Pro-Base Conceal & Brighten Kit Natural Medium Rose. I am addicted to online shopping but I always search product on Google for reviews before buying them online. And after reading mixed (+ve & -ve) reviews about this product I decided to give it a shot. I bought this kit few days back along with some more makeup products online from Jabong.com. After using this product 4-5 times now I decided to share my views about it. Packaging : It comes in a rectangular packaging where three shades are placed separately on white pan. It has a see through lid for easy identification of shades and has silver border all around the lid. It comes with a sleek mirror at the inner side of the lid, which is very useful while travelling. 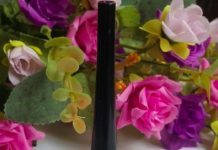 My Experience : I have never tried any makeup base kit before and was very excited to use this MUA pro-base kit. I picked up the Medium Rose shade which perfectly matches with my skin tone. 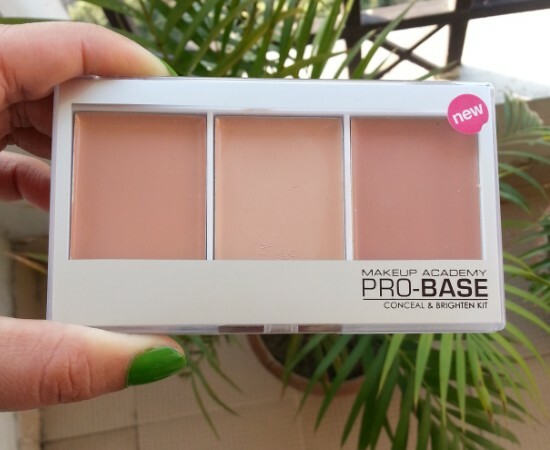 MUA Pro-Base kit contains two concealers and a highlighter. If I am not wrong first and third no. 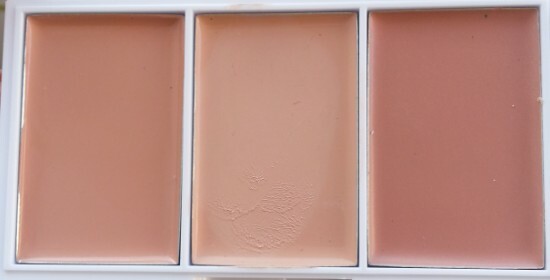 shades are concealers and middle one is a highlighter. 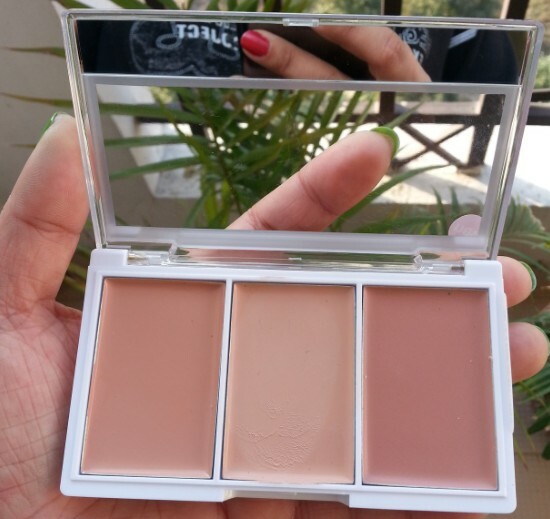 I use first shade in the palette to conceal spots & blemishes and the middle one as a highlighter. 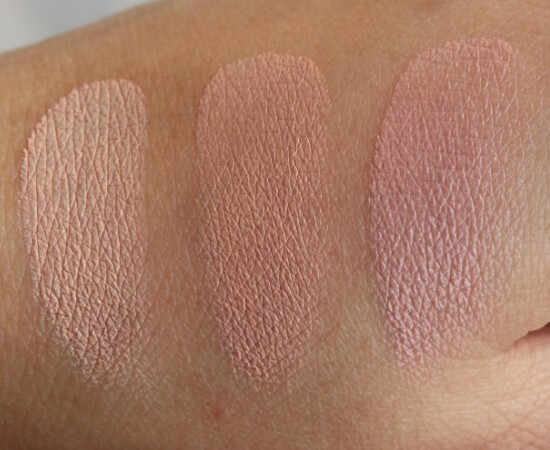 I have not tried third shade as a concealer as I found it slightly darker for my skin. I am using darker shade to contour my face. It gives very natural no makeup look that feels dewy initially but goes semi-matte after few minutes. These concealers and highlighter have creamy texture and glide very smoothly onto skin. The concealers are highly pigmented and a little amount of products is required to achieve desired coverage. Their oil-free formula is suitable for my combination skin. I use setting powder on top of these to make sure my makeup stays for longer time. These are very lightweight and with them I hardly feel like I am wearing any makeup. Concealers give medium coverage but these can be easily build up. I do not recommend this product if you need heavy coverage. In my case I have only few acne spots here & there and light blemishes and this kit is doing a great job for me. The highlighter has a tiny shimmer particles in it and I use it to highlight my brow bone and cheek bones. You can use concealers individually or mix two shades to match your skin tone. I use to apply sunscreen underneath these shades if I have to go out during day time. It stays on my combination skin for 3 hours and then touch-ups are required after every 2 hours or so. Dry skin beauties gonna love this amazing kit too. 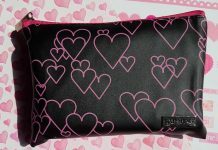 Overall it is a great little handy makeup kit that proves to be a great companion. Concealer : Paraffinum liquidum , TALC, Ethylhexyl palmitate, Ozokerite, PMMA, Trimethyl phenyl silsesquioxane, Paraffin, Beewaxs, Propylparaben, BHT, Mica , TITANIUM DIOXIDE(CI 77891), YELLOW IRON OXIDE(CI 77492), IRON OXIDE(CI 77491/2/9), RED IRON OXIDES(CI 77491). Highlighter : 1-Decene Homopolymer, Tri-tridecyl Trimellitate, Capryl/Capric Triglyceride, Petrolatum, Bis-Diglyceryl Polyacyladipate-1, Ethylhexyl palmitate, Silica, Cera Alba, Propylparaben, BHT, Mica , TITANIUM DIOXIDE(CI 77891), YELLOW IRON OXIDE(CI 77492), IRON OXIDE(CI 77491/2/9), RED IRON OXIDES(CI 77491). Great review! 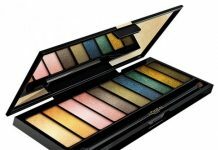 Is this palette good for NW35-NC42.5 skintone? Or should I go for the darker palette? Have you tried the MUA Pro Base Complexion Kit? Thanks! Thanks dear :) I think you should try the darker palette. And I haven’t tried the MUA Complexion kit yet! !